Hello! 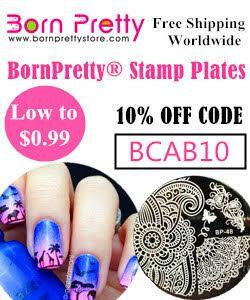 Today I have my nail art for March's 'Miami Nice' MeeBox. Apologies that this post is a bit late this month, I've just had so much going on (and so much to share with you). If you missed my unboxing and swatches of March's box, you can find that post here. 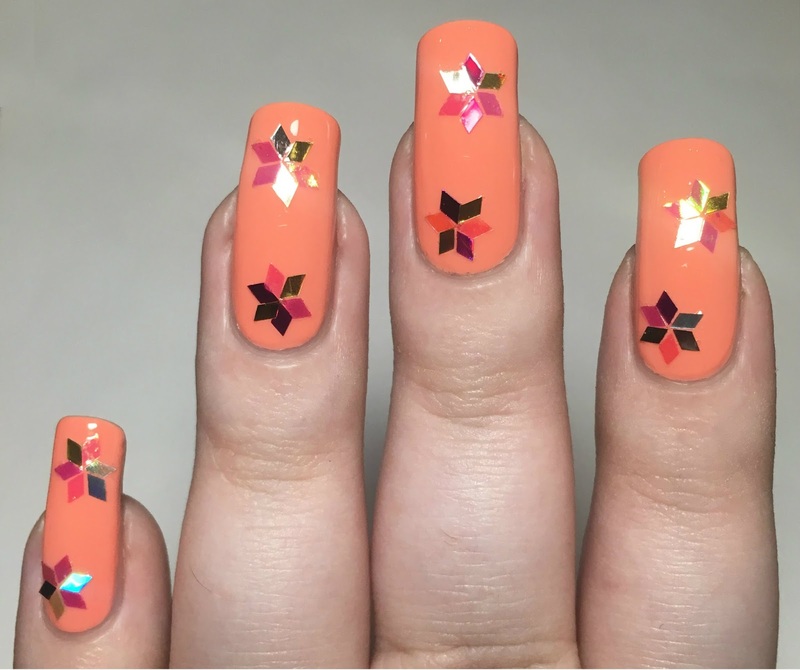 I ended up doing two quick nail art looks this month. Read on to see both! 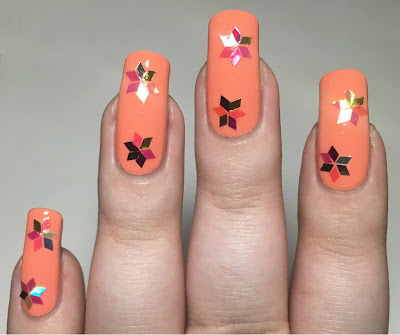 For my first look, I wanted to have a play with the Rhombus glitters we recieved from Charlie's Nail Art. 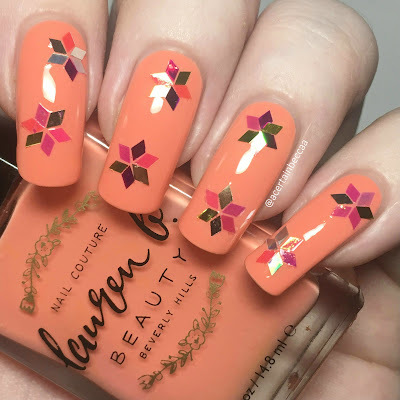 I started with a base of Lauren B Beauty 'Coral Canyon', and arranged the glitters into flower shapes. I had intended to place two flowers randomly on each nail, but I subconsciously put them all in very similar places - woops! 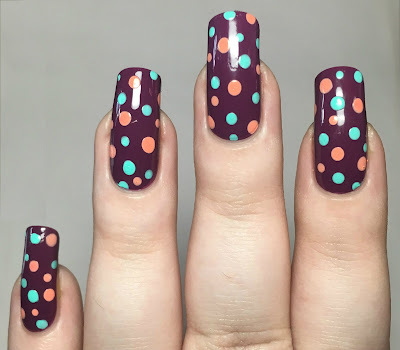 For my second look, I did a dotticure. I've been loving dots recently, and thought it would be a great way to use all three polishes together. 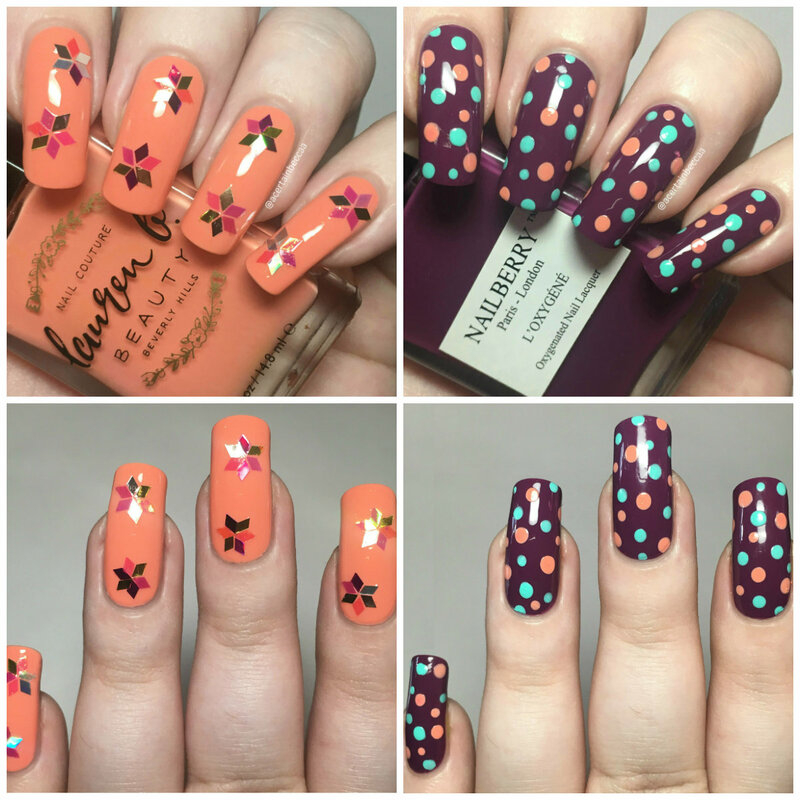 I applied a base of Nailberry 'Extravagant', and added dots of both Lauren B Beauty 'Coral Canyon' and Floss Gloss 'Wet' using two different sized dotting tools. 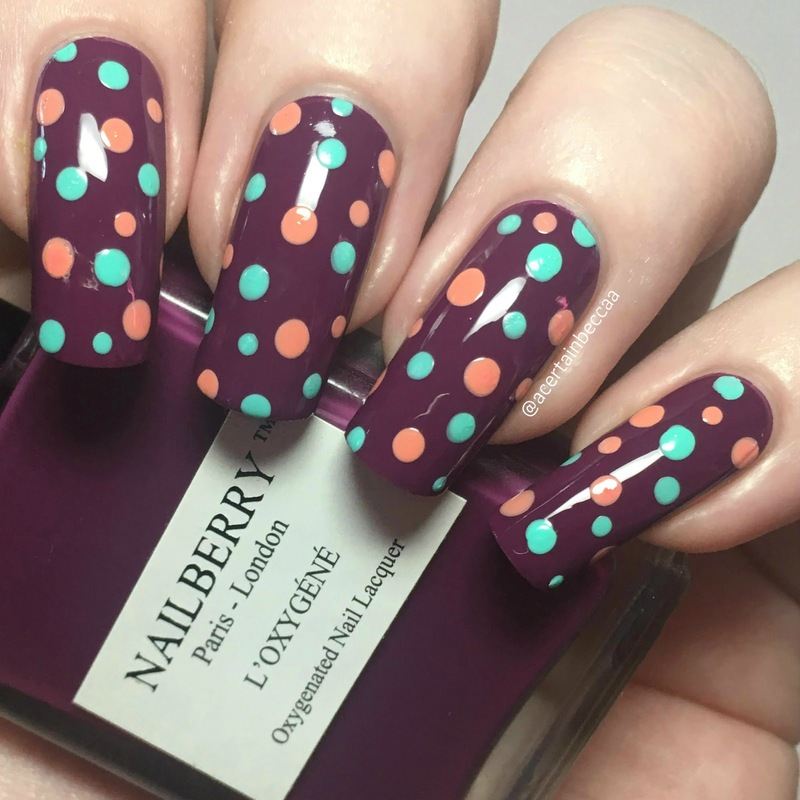 I chose not to add topcoat as I liked the slightly raised look of the dots. What do you think? My favourite of the two is definitely the dotticure - it's so simple but so effective! I do like my rhombus glitter mani, but just wish I had used slightly different placement. This month's MeeBox has the theme 'Soft Scoop' and is dispatching shortly - I can't wait!